The Atlanta producer just dropped some heat. 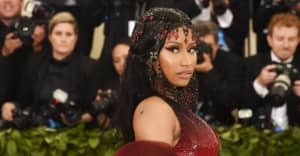 London On Da Track released his new song "No Flag" featuring Nicki Minaj, Offset, and 21 Savage. This track is the first off of his upcoming album Who Would've Known. The Atlanta producer is a frequent Young Thug collaborator, and has dropped hits with Drake and T.I. among many others. This song comes after an eventful went for Nicki Minaj, who shared her video with Yo Gotti, her new MAC Cosmetics collaboration, and the video for "Swish Swish" all in the past few days. All three rappers have given out several features in the past few months and rap about maintaining their status in this new track. Hopefully we can expect even more from them and London in the near future. Check out the song below.